New Website in development , hold on tight !!!! Crafting solutions for clients since 2004, Sirus Computers meets the needs for any distinctive business. We strive to build long-term relationships with our clients and provide the highest quality of service. We continue to accomplish this by staying up to date with the latest in technology advancements, partnering with industry -leading companies who operate to the same high quality standards as us, and bringing solutions to our clients at a budget friendly price . 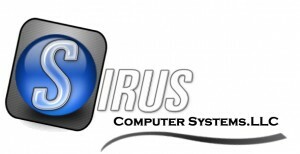 Copyright 2018 - Sirus Computer Systems.LLC . All Rights Reserved.